"Days of Thunder," "The Fast and the Furious," "Talladega Nights" and now, a racing game will be added to this track of flicks. 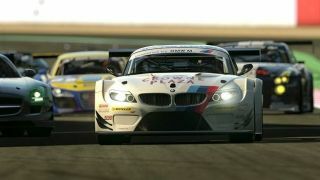 BBC Newsbeat reported that Sony has verified a film based on PlaysSation racing game Gran Turismo is in production. The company has remained mum on the actual plot points, and didn't provide an estimated release date either. Oddly enough, producers Michael De Luca and Dana Brunetti, who both worked on "The Social Network" and "Fifty Shades of Grey," are reportedly attached to "Turismo." Honestly, we can't even begin to imagine a story line with that information - too many awkward images floating around the kettle. Speeding along to something our brains can handle, the latest installment in the game series, Gran Turismo 6, will be released later this holiday season for the PS3. Here's hoping we'll see it on the PS4 soon after, a topic Sony may discuss at the upcoming Gamescom in Germany. These lightning-quick blips aren't that awkward, we promise.